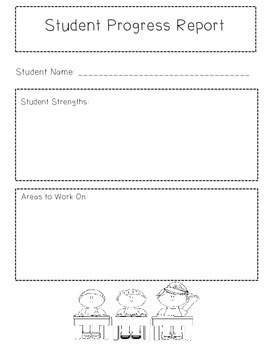 This is a form for teachers to fill out to report student strengths and areas to work on to parents. There is a box for teachers to fill in for strengths and a box for areas of weakness. There is a also a spot to write the student's name.